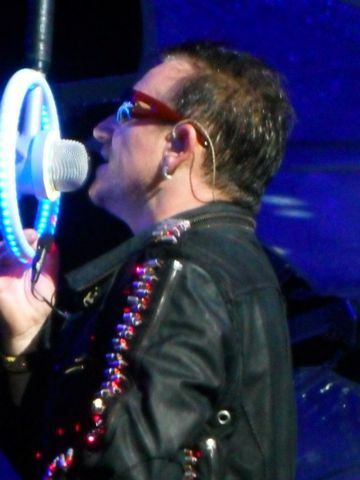 'Let's play a new song,' said Bono, reaching for the harmonica. 'This could be a hit.' Angel of Harlem was an instant hit, followed by Bad, greeted with a Belgian ovation. Pretty soon we'd all forgotten about the inclement conditions as the music took over all the way to the end when Larry, Adam, Edge and Bono all raised a Belgian glass of beer in toast to this wonderful audience. So how special was the second night in Brussels for you? Add your own reviews and upload your photos below. Singing in Brussels . . .
Tanks for all! It was the most beautiful concert i have seen. It is just incredible how beautiful you are. Your shows are like the most beautiful dreams. 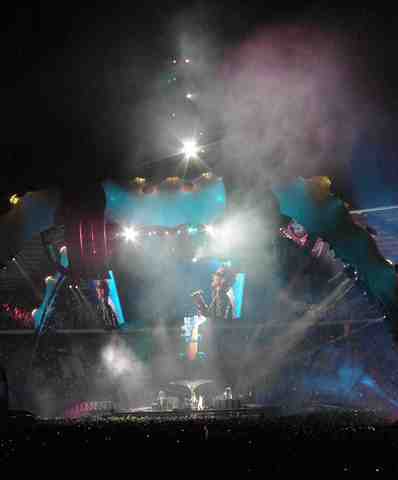 i've been to both shows and seen the first show from far so i could be amazed by the wonderful stage lightshow. Second day had the wonderful honor to be in the red zone. realy a once in a life time experience. Hope i'll reincarnate ;-) my brother took some picture. keep on going guys U2 rocks !!!! My first U2 concert. It was great! 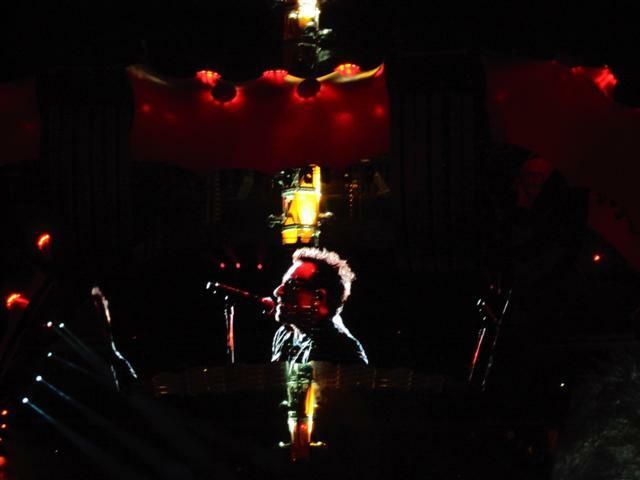 My first U2 concert in Brussels thursday 23 september. It was a great. Very special. The milky way, the words of Bono before the last song Moment of Surrender, very impressing. Thanks U2. Brussels missed out on Leg 1 but both shows on Leg 2 surely made up for that. Brussels 1 had the widely expected setlist but was a class delivery, Brussels 2 was clearly up there on a different level. On day 1 the GA queue was a great day out with fellow fans, baking in the sun. 82nd in the queue and I managed to get outer circle front rail centre. Met the Boys when they came out to meet fans with Edge & Bono being kind enough to autograph my concert ticket. On day 2 after having arrived late I still managed to get into the circle back centre rail. Memorable, Thank You U2 and a special thanks for BAD. Hi all, I was there at thursday 23 september and all i can say it was m-a-g-n-i-f-i-c-e-n-t !!! 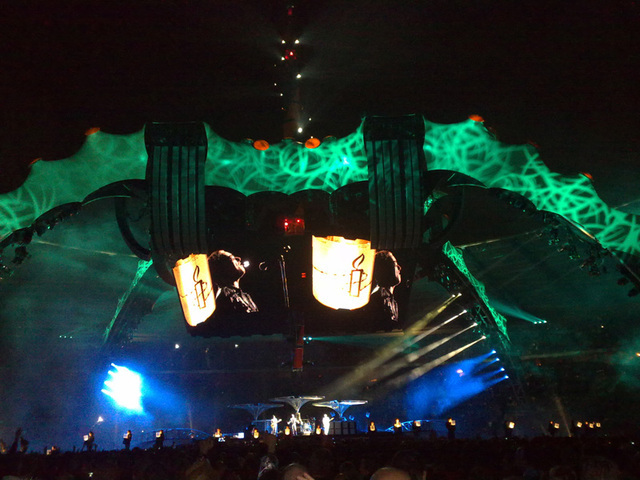 !Best moment for me was when the edge started playing "where the streets have no name"...it gave me shivers all over my body !Still one of the best songs of U2 i think. 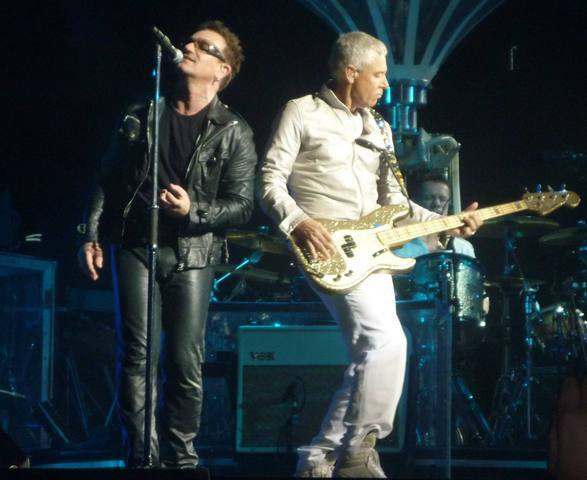 U2, you are great and i hope you will visit belgium very soon again.I will be there for sure !! I was there with both my sons of 9 and 12 years. It was the most beautiful experiments to their lives. Five days later, they do not have yet recovered and would like to invite Bono and his band for their birthday ... because they would liked to hear "Sunday Bloody Sunday". See you at the next tour. It was a wonderful night even with the rain! Second time in Brussels, first time at the opening concert of Vertigo and last thursday for the second time. Again I saw a very powerful performance, great atmosphere, but not so great weather (did it rain???). The only complain was that the setlist didn't contain any new songs (Glastonbury back on the set? ), but the energy easily made up for that. As a Dutchman I have to confess: Brussels won again! This day was special to me! First we saw U2 at the Amigo Hotel. And later on, the concert! We were very close at the backside of the stage. The songs were great and the weather also made this night special. My highlights were Angel of Harlem and Bad, did not expect to hear them since i saw them in Amsterdam, Gelsenkirchen last year and this year in Hannover and Paris. What a great band, what a show. Thank u U2. It was a rainy night but a fantastic show. 4 people like us giving us so much enthusiasm, so much pleasure, so much poetry, so much believe in what they do, but with so much simplicity. That's it. Thank You for all of this, for such a beautiful night, such a passion. It has also been a special night for us ! Amazing power, amazing show. Best concert I've ever seen. State of the art. 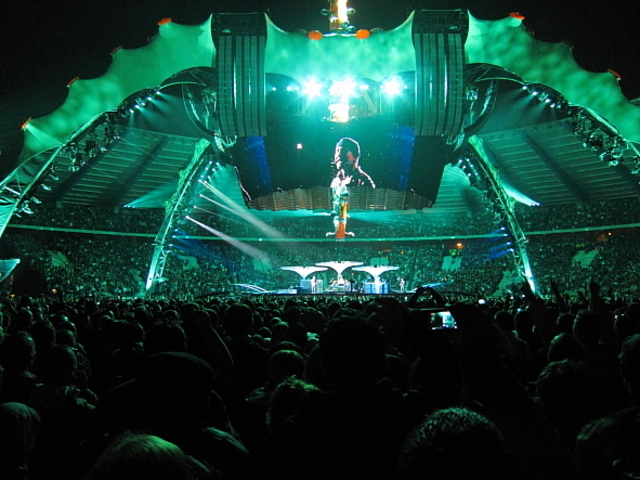 There was magic between the audience and U2. It was pure, natural, powerful, funny, surprising. 70.000 people in ecstasy. and deepest respect for your support to charities and activist communities worldwide. Together we can change this little blue planet in to a better place. Thank you U2, you are are a gift. I wish you al the best. It was pure magic last night. The Band, the weather, the people, the setlist. I have seen U2 9x and every Show is special but the yesterday was mind blowing! It can't be better. Thank you U2 for everything-especially for BAD!!! I saw the 360show eight time en yesterday it was the first time in the rain. I didn't care. It gave the show extra magic. Bono was in good shape en mood. Great singer (especially Miss Sarajevo). Great band!. Great Show! Great night! Thank you so much. Please come back to Europe next year. Wherever you play. I Will Follow. 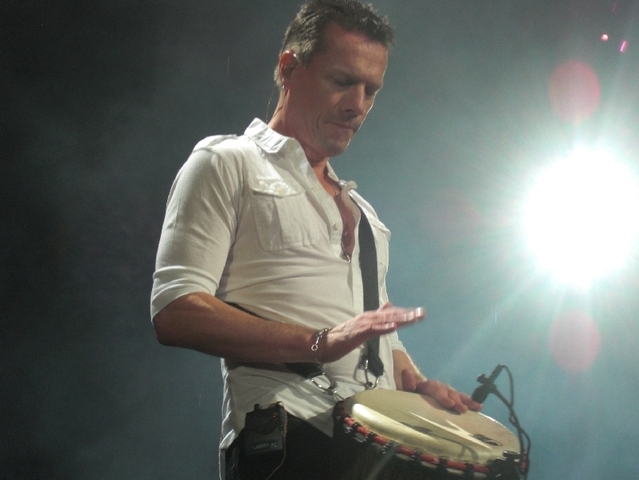 I did both shows but sep23 in the Red Zone, with the band 5 meters from me was AMAZING !!! I'm still in the clouds ! Fan since ages, it was a long time ago I ever felt so much emotions, complicity ... Bono walking a 5 meters from me was incredible !! Thanks to you all and hope to see you again very very soon ! Perhaps compiling a list of rainy day snippets might be in order given the statistics. On a brighter note... maybe the constancy of the rain might be explained as tears of joy from universal onlookers of past generations...maybe they're just happy to see the way music is uniting hearts and minds for the greater good. 'Singin' in the rain'--does it get any better? If the band doesn't come to the Netherlands, the Dutch have to go to Belgium. And it was worth the trip! Thanks for having us over Brussels! : great stadium, great sound, great bars and great beer! And, of course, the greatest band ever! Great set list to! : Last year in Amsterdam we were the first to have 'Bad' in the set list, last night Brussels gave us 'Bad' again, for the first appearance in the second leg. Saw both shows. The first show was so amazing. But the second show..........whow,..... it was an absolutely highlight. Rain?... no problem for the Band and the fans. After 22 shows I saw from 360° Tour, I can say, that the second Brussels Show was one of the best. Another Great night in Brussels - rain coming down like crazy tonight but the music made it one of the best showers ever : ) Many highlights but especially surprised and amazed by the great version of 'Bad' and also the heartwarming version of 'Walk On' Thank you - U2 ! after 2 times amsterdam, i visit brussel. I have to say, what i night! A lot of funny things happend, great setlist and great sound! The rain was even great. This was a show whit a lot of energy. U2, thanks for this great night! !